In August 2016, at just 28 years old, Aaron was diagnosed with a rare cancer called Alveolar Rhabdomyosarcoma, a soft tissue and bone cancer. He was misdiagnosed repeatedly and by the time the cancer was detected behind his left cheek it had sadly already spread throughout his body. We were told the cancer is very rare, extremely aggressive and incurable at this late stage. Aaron has already been through 15 months of gruelling treatment. He underwent one of the harshest chemotherapy regimes that exists, alongside months of radiotherapy. The side effects of this treatment were severe and led to many more weeks in the hospital. The treatment worked well and we had a brief period where there was very little cancer left at all. If Aaron had not responded so well to this treatment it is highly unlikely that he would still be with us today. Throughout all of this he maintained a positive attitude and never stopped making us and the nurses laugh. Unfortunately this quiet spell did not last long. His cancer grew and spread almost as soon as he stopped the first chemotherapy, causing further painful and life threatening complications. A harsh reminder that this treatment isn't a long term solution for him. He is currently undergoing more chemotherapy which is working to keep the cancer stable at the moment but it makes his body very weak and he can't carry on like this for much longer. We believe his only chance at long term survival is a treatment called immunotherapy that is not yet available on the NHS. 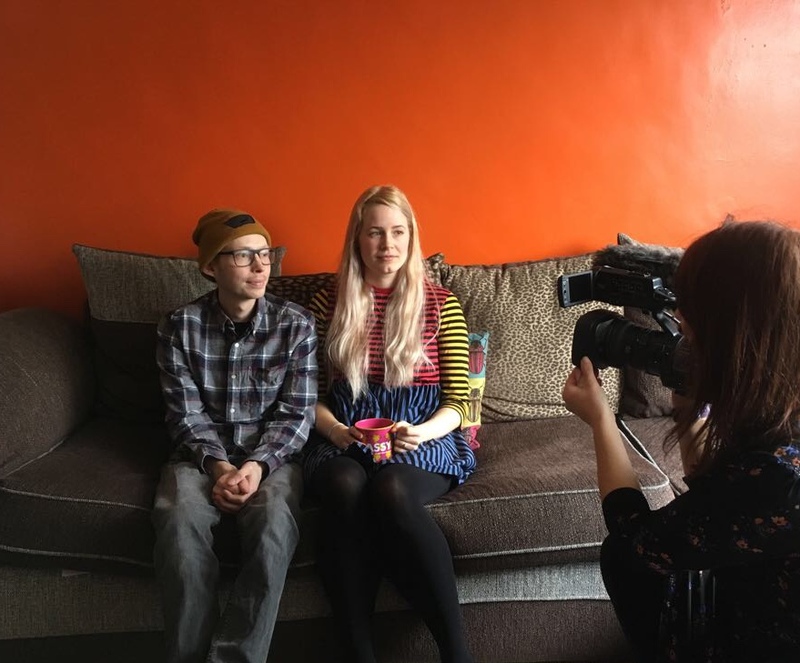 Immunotherapy has proven to be very promising for Aaron’s type of cancer and we hope he can find success with this treatment, paving the way for others to obtain it in the UK in the future. Unfortunately this treatment is very costly and must be obtained privately. 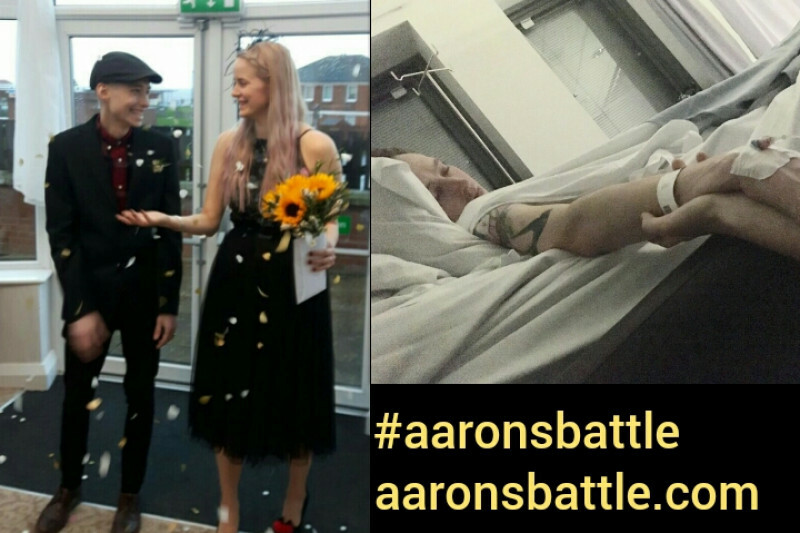 We need to raise at least £300,000 to save Aarons life. It is for this reason we must ask for help in this stressful time. Any contribution made will be spent on treatment at a clinic in Germany that has been chosen as a result of many months of research and professional advice. Although the doctors have told Aaron his cancer is terminal, we will never give up hope and strongly believe if he can get this treatment it will give him many more years with the people he loves. Aaron is such a special man to so many people, we are all behind him and are not willing to give up, if he needs a miracle then we will make a miracle happen. But we need your help to do it. We have already received so much support and we can't thank you enough for that, please give generously, help spread the word and help save Aaron's life. Hi guys, just an update as required by gofundme as the campaign is going so well. If for some reason Aaron didn't need the money raised we would give it to various charitable causes close to his heart and of course provide proof of this. We are however planning our first trip to the clinic for initial testing in the next couple of weeks! Exciting stuff. I will be withdrawing the money in my name on behalf of Aaron as I deal with the medical bills and have a bank account set up specifically for this, then paying the clinic by direct bank transfer from there. Hi everyone. It's now been a week since we launched the campaign and it's going really well so far. We've nearly reached £62,000, raising over £24,000 in just one week! Amazing but please keep sharing and spreading the word. Today we have done something very far out of our comfort zone and been interviewed by Look North. Luckily Leanne who came to interview us was super lovely and put us at ease. We hope this will help spread Aaron's story but also raise awareness of this rare cancer and others in a similar situation.